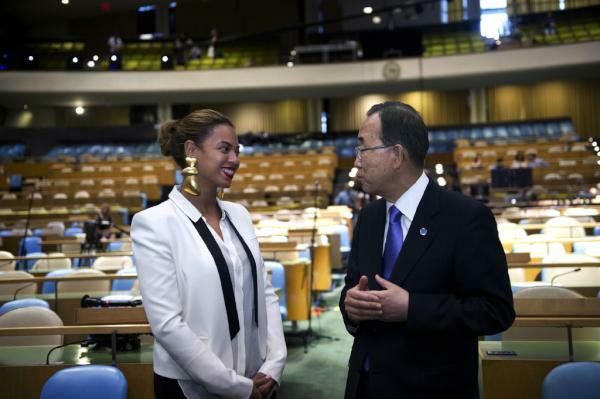 Secretary-General Ban Ki-moon thanks Beyonce for her support of World Humanitarian Day and the I Was Here campaign. 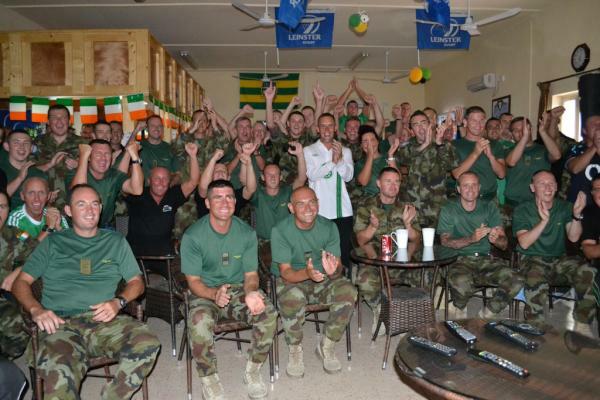 Photo: @UN_Spokesperson. Australian artist @AshleighGrace94 posted this video and song she wrote inspired by the World Humanitarian Day “I was here” campaign. Delivering food is hard work. 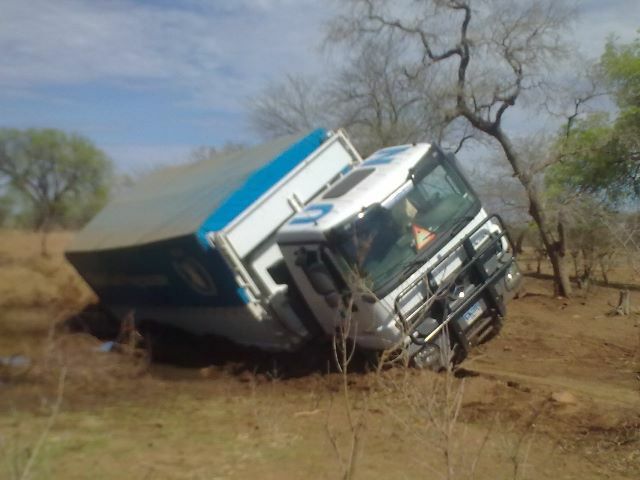 In this photo, a World Food Program truck ran into a snag while delivering food in South Kordofan, Sudan. 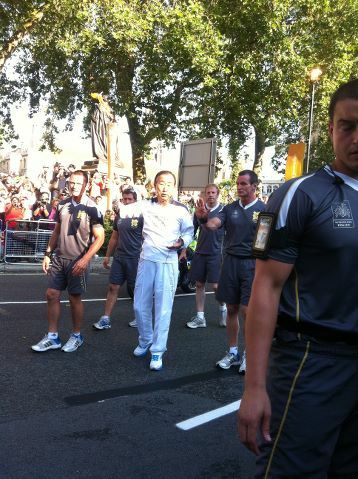 Photo: @WFPLogistics. 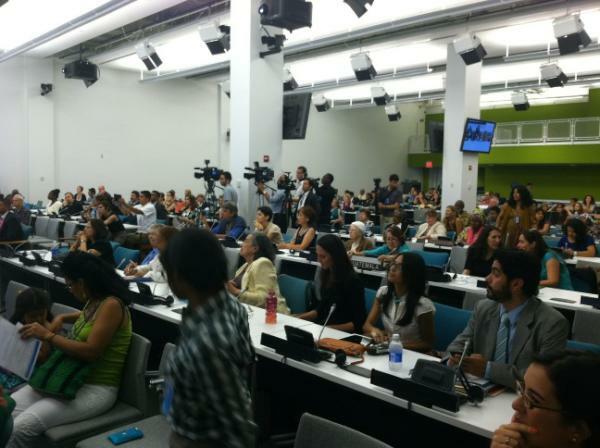 The audience at this week’s World Indigenous Day (9 August) commemoration at the United Nations Headquarters in New York City. Photo: @amystretten. 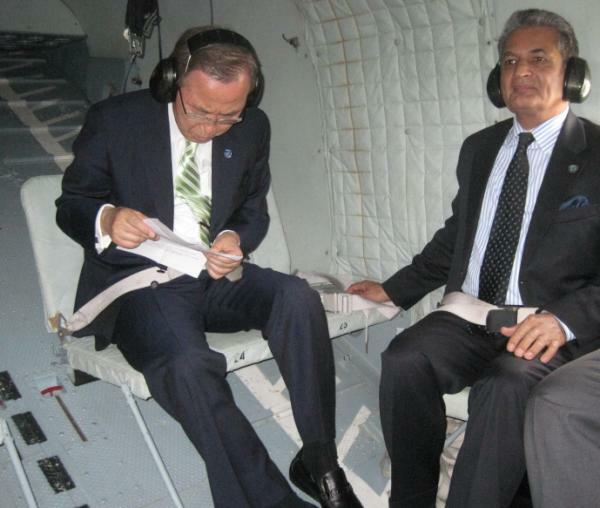 Secretary-General Ban Ki-moon on a helicopter in Kosovo. 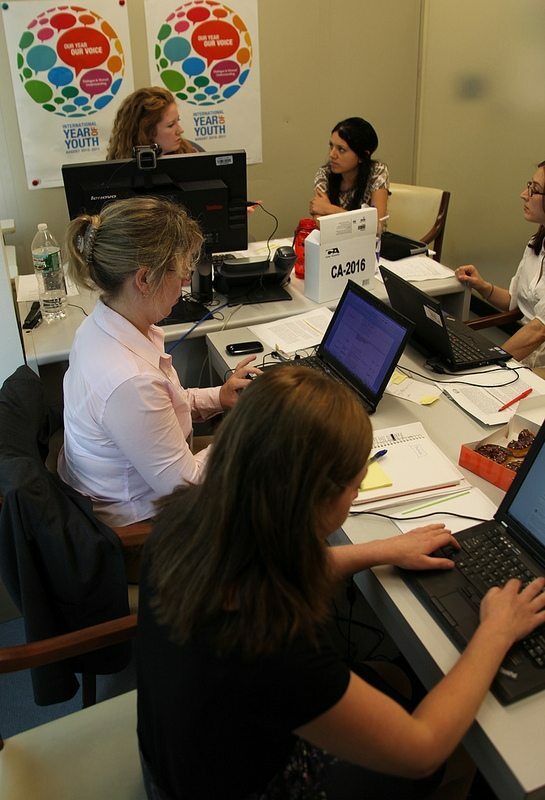 Photo: @UN_Spokesperson. 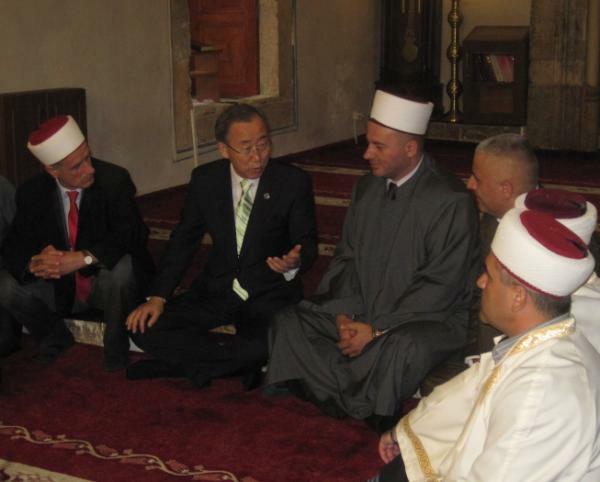 During a recent trip to the Balkans, Secretary-General Ban Ki-moon met with people at the Sinan Pasha Mosque in Prizren, Kosovo. 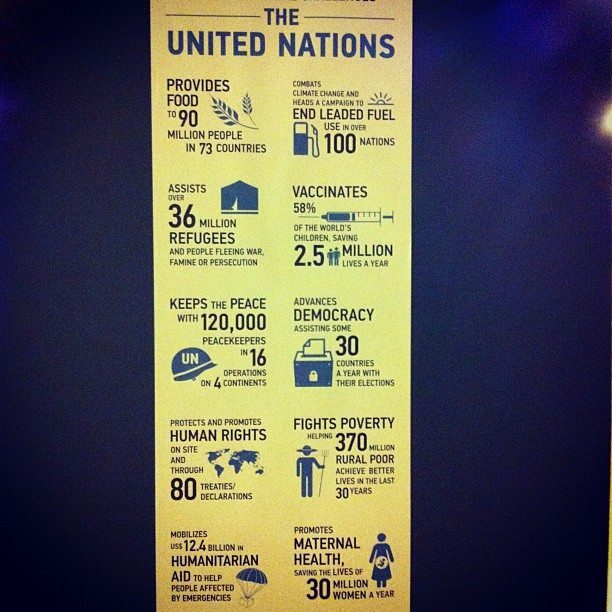 Photo: @UN_Spokesperson. See also: video from Ban Ki-moon’s historic visit to Srebrenica. 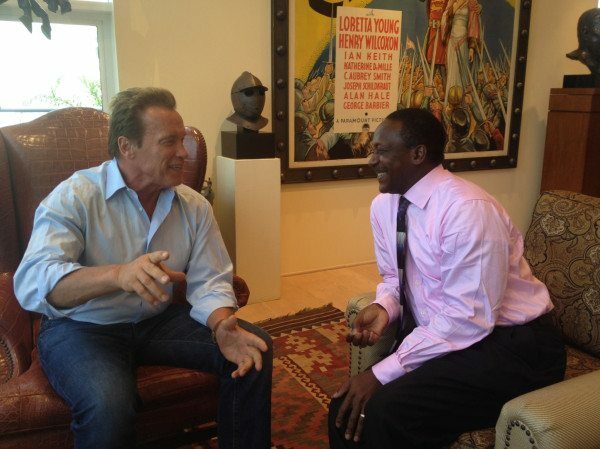 Arnold @Schwarzenegger posted this photo of his recent meeting with United Nations Industrial Development Organization (UNIDO) Director-General Kandeh Yumkella to discuss sustainable energy. 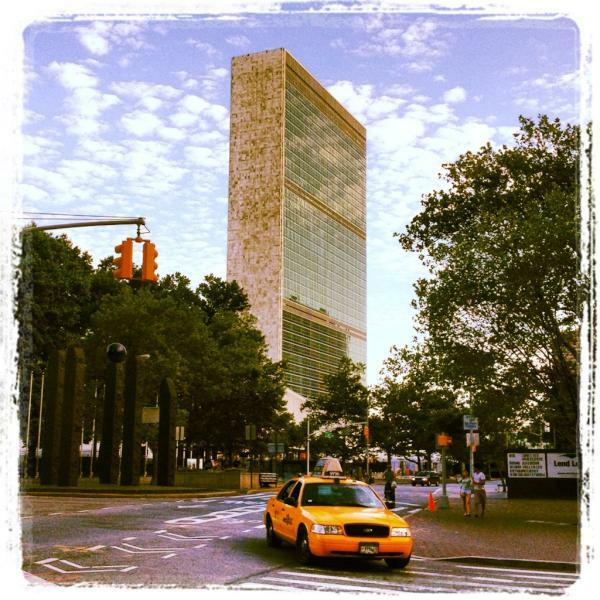 Instagrammed photo of the UN Headquarters in New York City. Photo: @taramaller. 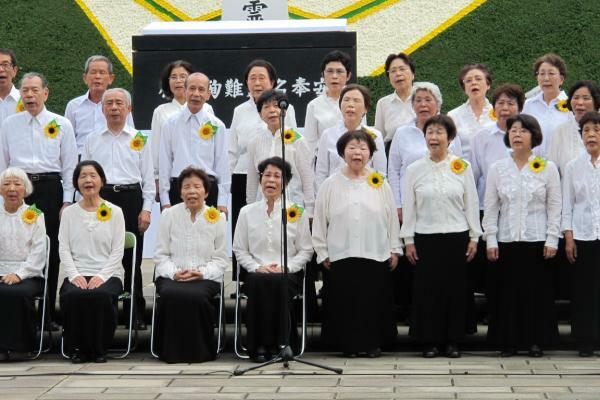 Choir of atomic bomb survivors sing “Never Again” in Nagasaki at a Peace Memorial Ceremony, 67 years after atomic bombs were dropped on Hiroshima and Nagasaki. Photo: @ctbto_alerts. 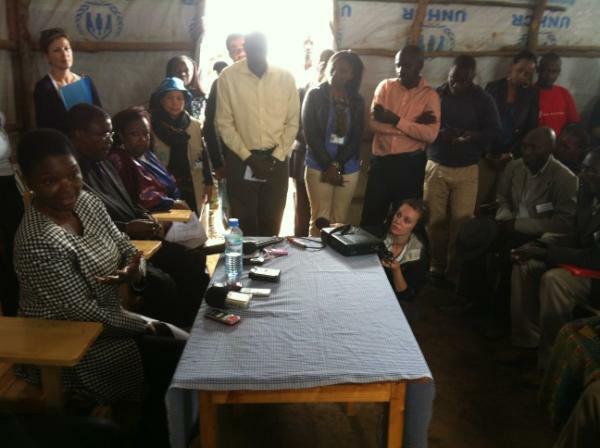 Valerie Amos, Under-Secretary-General and Emergency Relief Coordinator speaks with refugees in Rwanda and DR Congo, during a visit there. Photo: @anouckbronee. NextIf you like great photos, look no further!